The Canadian make-up company Make-up Art Cosmetics (a.k.a. M·A·C) has had an illustrious roster of spokespeople. Past celebs to grace M·A·C’s ad campaigns range from Diana Ross to Pam Anderson to Rupaul to Lady Gaga. So it could be an interesting and tasteful shift to go from uber-celebrities to a well-known (at least in the art world) photographer. Right? Right? Meet Cindy Sherman: photographer extraordinaire and the new face of M·A·C’s Fall Colour collection, which launched last week. Sherman is perhaps best known for her self-portraits in the series Untitled Film Stills. As photographer and model for those 69 images, Sherman created different characters in various settings that contain harsh commentary about the role women play in society. Fast-forward three decades, and it seems Sherman is up to her old tricks. The M·A·C photos of Sherman (created by–-you guessed it!-–Sherman) are each heavy-handed with the company’s new line of colors. In one shot, she’s portrayed as an overly made-up New Jersey housewife replete with gold hoops and fur. In the next one, she’s a multi-hued deadpan clown. 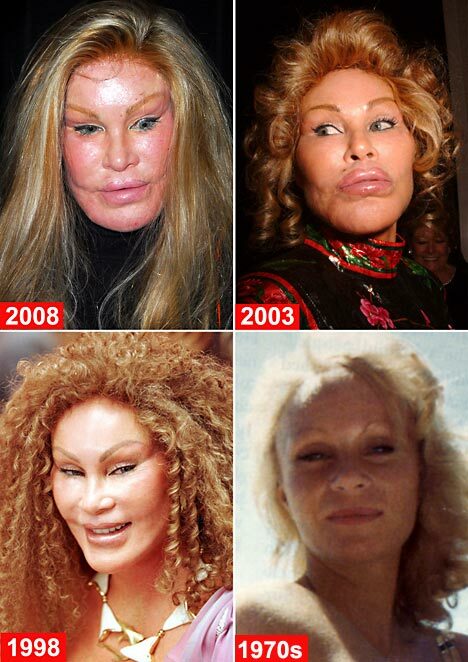 In the last image, she’s a bewildering mix of Jocelyn Wildenstein and the sad futures facing the young cast members of Toddlers & Tiaras. As an art exhibition, these photos would be a straightforward commentary on women and the ridiculousness of hiding behind an abundance of cosmetics. As an ad campaign, they seem quietly subversive. Surely the outlandish headshots aren’t the best way to show off the newest line’s attributes. Could it be that Sherman is mocking the makeup brush that paints her?